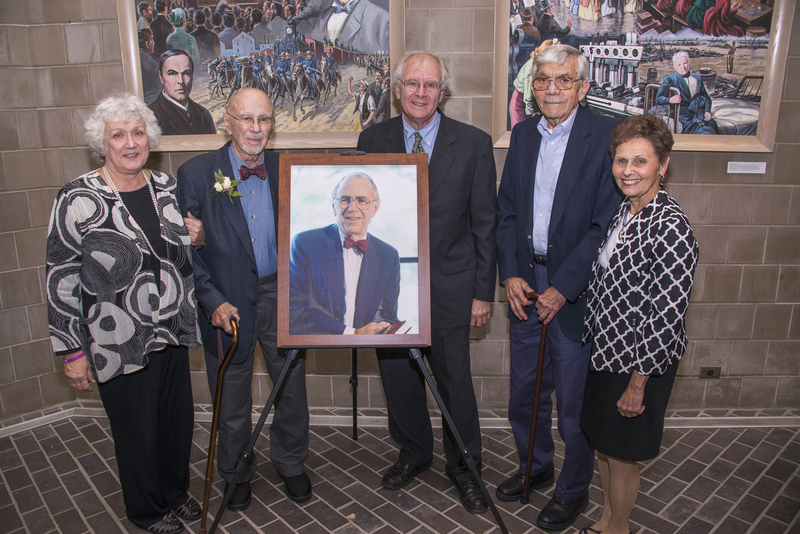 Alumni, family and friends came together to laud the wide-ranging work of Dr. Philip P. Mason. Founder of Wayne State's archival education program, Dr. Mason developed the university, labor and urban affairs collections at the Reuther Library. More than 100 visitors gathered on Aug. 27 to hear Warner Pflug, Dr. Frank Boles and Kathleen Roe share their most memorable experiences working under Dr. Mason, both at the Reuther Library and through the Society of American Archivists. “I would characterize Phil Mason as the archival North Star, that ever fixed and luminous, bright star that anchors a constellation of archivists and has guided so many of us to be productive, contributing members of the archival profession,” said Roe, SLIS alumna and current president of the Society of American Archivists. Dr. Mason then spoke to the crowd about his work and friendships over the years. Wayne State Board of Governors Chair Gary S. Pollard, Wayne State University Library System Dean Sandra Yee, and Reuther Library Director Erik Nordberg presented a portrait of Dr. Mason that will hang on permanent display in the building.